With the success of my recent didactic historical article focusing on The Big Sleep, I figured I'd take another shot (sorry about the pun) at writing an educational article for anyone looking to get into film. I feel that with the explosion of amateur film critics (such as myself) and the growing unease with movies which prioritize "style over substance" (a criticism I often make), something of the artistry inherent to film has been lost. Take adaptations of popular literature for example: the most common criticisms are often limited to which elements from the book were included or left out. While this can be an interesting discussion to have, the nature of film as a storytelling medium carries with it a different kind of art, and its beauty comes from the technique with which its story is told. And while it is very easy to come away from a film with the sense that the director of photography knew what she was doing, sometimes explaining that artistic vision can be more difficult. So today I'd like to talk about the very basics of cinematic camerawork and how different methods of filmmaking can unconsciously affect the experience of a film. Establishing Shot or Extreme Wide Shot. 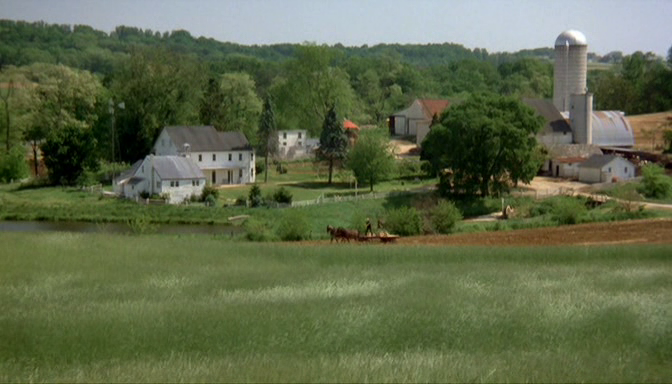 These shots are generally more focused on the setting of a scene than on the actors or actions within it. Shots like this are used to let the audience establish their visual coordinates so they can create a mental space in which the upcoming scenes will take place. They can also be used to transition between parallel storylines or to move backward or forward in time. They generally stand alone and are followed by closer, more tightly framed shots since when used in succession they can slow down the pace of a movie (exceptions to this include movies like Blade Runner where the setting is almost a character in and of itself). These may also be called wide shots, full shots or long shots, all of which carry small differences in connotation for which there is little agreement. Wide Shot or Medium Shot. These tend to include the entirety of the character in focus from head to foot, and may also include other actors with similar framing or in the background. 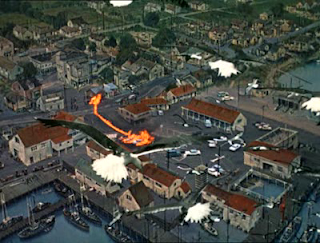 These shots also help audiences to orient themselves within the action on screen, but unlike with establishing shots (which generally contain no action) these can be used in succession and may combine actions with their respective emotional reactions. They also allow the most freedom of movement for the camera and therefore the most artistic creativity for the director and cinematographer. They are the most difficult shots to organize since they often involve multiple actors and (depending on how long they last) multiple action or reaction cues (unlike establishing shots where minor mistakes become invisible or close ups where you only have to deal with one thing at a time). While wide shots generally include the entire bodies of the actors on screen with medium shots framing actors from the waist up, there is again very little agreement. Close Up. These shots can be of either a person or a thing, but for the most part they will only have one thing to focus on in the frame. For characters the frame will usually only include the face, and for objects the frame will fit only the necessary information with little else. Close ups can have many different uses, but the three most common are to direct the audience's attention to a critical detail, to show a character's emotional reaction to something, and to establish something as an important symbol. 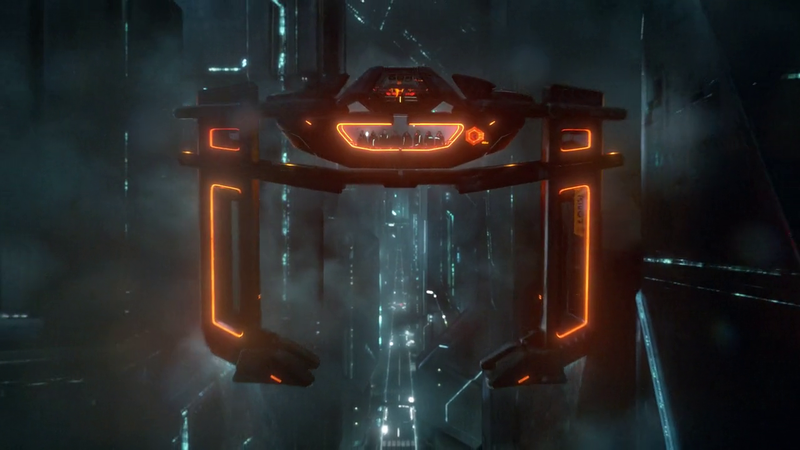 While creativity can make these shots complex and beautiful, they can also be easiest shots to make from the cinematographer's perspective since they contain relatively little and rarely involve any camera movement. As above, there are multiple terms to refer to exactly how close up a shot is (medium close or extreme close) and there is little agreement as to what constitutes each. As you may expect, different directors and cinematographers use these shots in different ways, and shots which violate conventions (such as Hitchcock's famous establishing shot from The Birds) can be used for a variety of purposes. But if each type of shot can have a purpose, how can you tell good directors from bad ones? The simplest answer is that the best directors utilize a more diverse assortment of shots than less talented ones. A common problem with inexperienced directors is their overreliance on close ups, especially (but not exclusively) in scenes with heavy dialogue. To illustrate this problem I'd like to look at two movies, one which was poorly directed and one which was not. For the purpose of clarity I've chosen two films in the same genre (mystery/thriller) which both had fairly big budgets and talented actors and which were released the same year. Do you remember The Da Vinci Code? If you're like me, you probably remember thinking that it was good but not spectacular, that Paul Bettany somehow outperformed Tom Hanks, and that the Catholic Church should really have better things to do than ban movies. This movie completely disappeared after the controversy surrounding it settled down (and probably never would have surfaced at all without the popularity of the book it's based on), and this was due in part to its forgettable filmmaking. It is comprised primarily of close ups and medium close ups, and as such you get to experience the quality of the acting but at the expense of establishing the movie's universe. The actors' performances occur in a void due to the lack of wider angle shots which would provide context for their actions. To be fair, the movie is predominantly dialogue-driven, but that's no excuse for lazy camera work. Even the chases and fights—scenes which benefit from the greater spacial awareness provided by wide shots—are cluttered with pointless close ups. 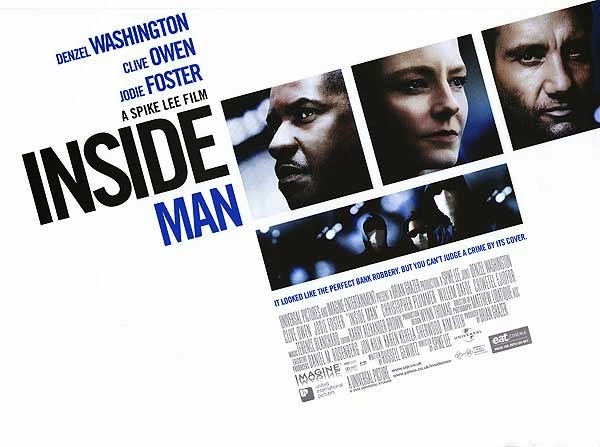 I recently had the pleasure of rewatching Inside Man thinking I hadn't seen it before. 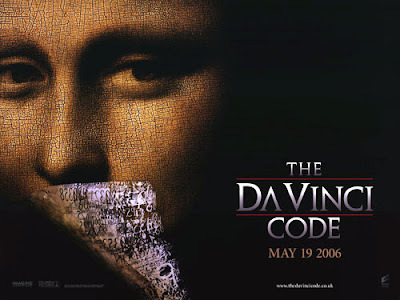 Now before you start jumping at me and pointing out how the fact that I forgot about it should mean that this movie is just as forgettable as The Da Vinci Code, there's a crucial difference here. After the first five minutes you will remember everything that happens in the rest of the movie. This is in part because director Spike Lee's and cinematographer Matthew Libatique's variety of shots allow you to create a detailed mental image of the world in which the film takes place, and once you return to that world the rest of it comes flooding back. There are two shots in particular that both provide visual coordinates for the audience while also managing to be artistic. The first occurs 15 minutes in when the hostages are first taken downstairs. It's a 42 second long, continuously tracking, medium-wide shot which backtracks on itself multiple times. The form of this shot regardless of its content helps orient the audience to the area in which a large portion of the movie takes place while illustrating the panic and anxiety of the hostages. The second occurs halfway through the movie, and is a 39 second shot which opens with a panning establishing shot and finishes by zooming in to a medium shot. This sequence conveys several things: the growing impatience and edginess of the police, the growing shadows of the oncoming night, and the mix of apprehension and feigned confidence of Jodie Foster's character. This shot transitions the movie into its second act and reminds the audience of everything that's happened so far without voice-over narration. Of course I don't want to say either that The Da Vinci Code has no wide shots or that Inside Man has no close ups. The point is that every type of shot has its purpose, and a good director or cinematographer knows how to use every tool at her disposal. While close ups may be easy to orchestrate and ultimately forgettable, they are good for conveying emotion and directing attention. Wide shots on the other hand may allow for greater artistry and make a film more memorable, but they're difficult and require more effort to execute successfully. The point is not that good movies must use a variety of shots to be good, but that good directors are capable of using all the tools in their arsenal. The key is to know when to use each. This is good stuff, man, a really good primer for people trying to learn how to "read" a film (for lack of a better word). Thanks! That means a lot to me. Also, "read" is a perfect word for what you mean. I don't really remember the camerawork of the movies I see TOO much, so I don't have much of an opinion on this. I think if it's not distracting, that's enough for me. As long as the movie tells a story is what I'm saying. But I think with film festivals, the key objective to impress the judges is fancy camerawork. The short films I've made I've been proud of in terms of how I shot them. I think talent as a cinematographer comes naturally when you've watched films your whole life. I have a similar feeling about cinematography, that as long as it's not distracting and the film tells a compelling story then I won't have too much to complain about. My two exceptions are 1. sometimes I feel like some movies are more easily forgettable because of their lack of competent camerawork (eg The Da Vinci Code) which is something that won't be immediately obvious until years later if you're not paying attention to the camera, and 2. there are movies where I'm distracted by the camerawork in a good way, like watching Children of Men with me is probably no fun at all because I'm constantly pointing out the long takes. Otherwise I think quite often like you say quality cinematography comes from watching quality movies.